I’m going to buck the trend. Instead of doing a review of the year right around New Year’s Day, I’ve held off until my birthday. 2016 was a good year for me. In January, I tapped my critique group for help with the first thirty pages of Avians. 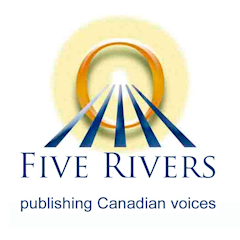 The members of Fantasy Five made powerful suggestions, and when I submitted the sample to Five Rivers Publishing, Senior Editor Robert Runté promptly requested a full manuscript. That led to a contract offer a couple of months later. Editing ensued, so not a lot of other writing got done, and just as I was getting back to it, I got hooked up with cover artist Anne Crow and got side-tracked by that. Short stories in particular took a big hit. I did write a handful later in the year but my submissions flagged badly. Overall, the trend has been for my stories to get serious consideration at pro markets. Acceptance, not so much. I like to think this means that my writing is okay, and that more submissions would result in more sales. An old favourite of mine drew fine feedback from the acquisition readers at a YA magazine and I’ll be rethinking that one in light of their comments. I had high hopes for cracking the pro market in 2016. A story speculating that the Chinese could have developed powered flight about a thousand years ago clawed its way out of the slush pile to the senior editor’s desk at a top market in November, but as of New Year’s, I have not heard one way or the other. I will soon have to query. Groan/cringe. I hate querying, because it feels like tempting fate, but eventually it must be done. I once let a story ride for six months, only to learn that the publication had lost it in the shuffle of a reorganization. Update: just received a form rejection one day before my birthday. Yay. Sent it elsewhere the same evening. Lately, I’m working on Bandits, the sequel to Avians. I roughed it out in 2015, then let it age for several months before revisiting it. Because I wrote it in a month (yes, NaNoWriMo) I expect it to need a lot of work. It does, but it’s not as awful as I feared. There are some good bones in the draft, and some nice lines, too. The story needs more obstacles, more conflict and more showing, so revisions are proceeding. Slowly. I did attend some conventions this year. I dropped Winnipeg’s Key-Con and tried When Words Collide in Calgary instead. It was the biggest one I’ve been to yet, and I did a slide-show presentation on Alternative Aviation in SF there (see the Glossary link at the side of this blog for the online version). A month later I went to Ottawa for my third Can-Con, where I did a reading from Avians and moderated a panel on Sub-Genres of SF. At the end of the year, I went to the first ever Winter Wheat, in Portage la Prairie. If it had been any smaller, we could have held it in my living room, but it was great fun. They all were. 2017 will see the release of Avians in August, with a launch at When Words Collide. There should be a cover reveal a month or two prior to that. I love doing readings from it, so I’m thinking of putting audio files of the first few scenes on this website. Probably the first chapter, in instalments. Last but not least, I read some wonderful books in 2016, despite the lack of a big bookstore in my hometown and the failure of my e-reader. My Kobo made it through the laugh-out-loud A Town Called Forget, from fellow Five Rivers author C.P. Hoff, but caffed halfway through David D. Levine’s Arabella of Mars, forcing me to finish reading it on my phone because I was on a road trip and I couldn’t leave it alone. I’d call it Age of Sail meets Martian Pulp: an atmosphere pervades the solar system and square-riggers sail between the planets. It was a hoot. My out and out favourite read of the year was Updraft, by Fran Wilde. Feisty protagonist in desperate situations. Plus, hey, alternative aviation in the form of hang-gliderish wings of bone and silk. Sky-Fi! World-building up to here, and beautifully unexplained. Why are there towers of bone growing above the clouds? We never find out, and it doesn’t really matter: it’s just a place where the story happens. Rushed to buy the sequel, Cloudbound, but I’m not as invested in the protagonist early on, and I may or may not finish it. Other books I tackled on my smartphone, tablet or desktop computer included most of this year’s crop of Aurora nominees. I was most impressed with A Daughter of No Nation. I read it last because the title didn’t grab me. Don’t make the same mistake. A.M. Dellamonica won the novel category with it, beating out some of my friends, and I can’t say she didn’t deserve to. I also enjoyed Silvia Moreno-Garcia’s Signal to Noise. A computer nerd discovers she can do magic. Sometimes. Probably. My favourite in the YA category was Maddie Hatter and the Deadly Diamond. It didn’t win, but I enjoyed Jayne Barnard’s light style and fun with character names. I’d already read the anthology Second Contacts (in trade paperback) because Bundoran Press is a reliable source of solid collections. I found one or two of the other anthologies a little too narrow in scope to hold my interest. Speaking of anthologies, I picked up Clockwork Canada (also in trade paperback) at the dealer’s room at Can*Con. It’s a steampunk/alternative history anthology. There are some fine pieces in there, and I grabbed it every time I had a break in the schedule. I got a new e-reader at Christmas, so I hope to do more reading in 2017. I’ll have to wrap this up because the dog just ate Caroline’s glasses off the coffee table. I guess it’s time for walkies. I did it. I wrote 50,000 words of a novel in 30 days. Plus five extra words because sentence. For NaNoWriMo 2015, I set out to write a bare first draft of Bandits of Celadon, without sub-plots and with minimal description. I finished that two days early, as I closed in on 47,000 words. To qualify for NaNo, I then wrote an extra chapter from one of the sub-plots. That got me to within 200 words of the goalpost with one day to go, so I wedged in a few sentences where I thought the narrative was jumpy. Bandits is not a finished product. If I was building a china cabinet, I’d say we haven’t done the glass, the stain or the fancy handles yet. But you can see the overall shape of the piece, and get an idea of how the wood will look. I’d say it’s coming along nicely. As you can see on the ramp graph above, I stuck very close to the par value of 1667 words per day. That’s an unprecedented amount of writing for me. My first novel, Avians of Celadon, didn’t hit 50,000 words until at least seven months in. During the month, I uncovered some plot problems and found ways through them. I got help with metal-free barrel construction from a master cooper I met recently, and my trusty volcano expert came through for me as well. I still have some tweaking to do on the time-line; in this version, things tend to happen too fast. The bad guy is a bandit chieftan on horseback, and the main character is a girl who hears voices from a higher (technological) power. I was struck by a sudden notion for a pitch: Genghis Khan meets Joan of Arc. I’m fighting the temptation to put an arrow through her shoulder. Thanks to an Odyssey course, I was able to show more and tell less. I’m also pleased that I included smell, sound and touch and occasionally taste as I went along, rather than leaving the senses for separate pass through the manuscript. Now I’m going to let Bandits ferment for a while before returning with my angry red pencil. I also began to develop ideas for Caravans of Celadon. In particular, Raven and Denver are going to find ways for the Avians and Caravanners to work together. I’m looking forward to that. I had better pick up the pace on submitting short stories and querying agents; I got neither of those things done in November. One of the few stories I still have out in the market was rejected last week after a pro publication took a very long look at it. It was a nice rejection letter, one of my longest yet. Sigh. In December, I’ll be revising the opening scenes of Avians in preparation for a submission opportunity in January. My critique group gave me some great ideas for that, and I’ll be meeting them again in just two weeks. Let’s see if the work ethic I found for NaNo can be maintained. This was the toughest week. I fell behind for the first time on Monday, because I spent most of the day and half of the night driving to Winnipeg and back for a meeting with my critique group. It was worth every minute because I got an awesome suggestion for writing a whole new opening for Avians. (Avians of Celadon is complete, but unsold.) If I can pull it off, I’ll have gliders, airships and conflict all on the first page. Thought about that on the drive home, and made comprehensive voice notes on my smart phone. Tuesday, I was badly behind and seriously short of sleep. I managed about a thousand words, which left me floundering along to maintain par. I was forcing myself to write in the afternoon and evening, rather than my preferred wee hours. Then I hit a bad stretch. I was working on some middle-of-the-book stuff that wasn’t well planned or extensively visualized before I started. I painted myself into a corner, making it impossible for Raven to get the help and supplies she needs to carry on. I checked my outline, to try and get back on track, and found the outline vague and contradictory. Then winter arrived, and I had to make time to change tires on Saturday. I struggled to keep up, with hopes fading for regaining a lead. I ground out words as I left Raven struggling without relief. Denver, her would-be savior, shows up empty-handed. I wrote some dull expository dialogue. Today, I went for a long walk and decided to throw Raven and Denver into the fire. Now the bad guys are in pursuit, and a deadly obstacle blocks their progress. Boom. Over 2100 words today, putting me almost a thousand words ahead of schedule. I can see the light at the end of the tunnel. I have a pretty clear idea of every scene to come as I head into the climax, and a good idea of how to handle the resolution. Bandits of Celadon is going to end like The Empire Strikes Back, with the heroes in disarray, struggling to pick up the pieces. It will lead perfectly into Caravanners of Celadon, the third book in the series. Believe it or not, that book was only a title before NaNoWriMo 2015. Now ideas are starting to flow. Flood, even. So this week has been harsh. I’ve put in long and sometimes miserable hours. But I ended in a good place, and next week will be fun. I’m going to make it. I’ve been slightly ahead of schedule every day, and I reached the halfway point, (25,000 words) a day early. To do this, I have had to put in a lot of hours, but it’s a pace I can maintain. The tricky part will be making the end of the story come close to the 50,000 word mark. I doubt that I’ll run out of story, but I might have to rush through to the ending. Like NaNo generally, that would likely prove to be a worthwhile exercise. Here’s a thing that intrigues me. When I wrote Avians of Celadon, I worked on it whenever the mood hit me, or I had an idea. I just looked back at my old files, and I can see that the first version to have over 25,000 words didn’t happen until four months after I started. Maybe more. For the first few weeks, before I realized I was writing a novel, I wasn’t very methodical about how I saved my files. I’m writing sixteen to twenty times faster than those early days. Is it my best work? No. But neither were those first efforts. When I read early versions of Avians, I barely recognize it. The book had a different name. The planet had a different name. Most of the characters had different names. But the story was taking shape. That’s what I’m doing now, with Bandits of Celadon. Telling the story. Hashing it out for practice. Uncovering plot holes. And the opposite: discovering plot opportunities. I’ve had Aha! moments with those, and also with some dramatic scene endings. Nano has put a stop to my procrastination. I’m writing every day. I catch up to my quota before dawn, before I do anything else. I come back later to build up a lead. I’m learning that I can write every day, and I can perform to a deadline. I have written some scenes that I’m reasonably well satisfied with. With a little tidying up, they can be used. I’ve written a handful of lines that make me smile. For instance, my main character has a way of silently talking to her technologically advanced friends. She gets permission to reveal this secret to two people, one of whom is a boy she likes. I’m writing. And I’m having fun.